You can purchase signed copies of Jeanne’s books by contacting the Broadside Bookshop. Let them know which book you want, to whom you want it inscribed, and they’ll take care of the rest, including shipping it to you. Broadside is not only Jeanne’s favorite place to buy books, it’s close enough to her house that she can walk there (and she does, all the time.) She even slipped it into The Penderwicks in Spring, as a bookstore that Batty loves going to with Rosalind. 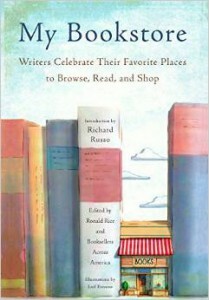 Jeanne also wrote about Broadside in My Bookstore: Writers Celebrate Their Favorite Places to Browse, Read, and Shop, a collection of essays by writers like Dave Eggers, Louise Erdrich, John Grisham, Francine Prose, and Brian Selznick, each essay a love letter to the writer’s favorite independent bookstore. 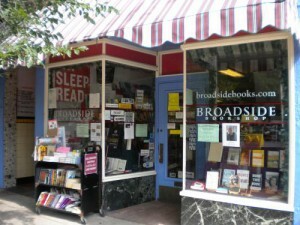 If you ever visit Northampton, Massachusetts, please drop into Broadside and buy a book or seven. And if you can’t make it to Northampton, maybe one of the other bookstores described in My Bookstore is near your home. They are all wonderful (though not as wonderful as Broadside).